An amazing opportunity for Nursing professionals. 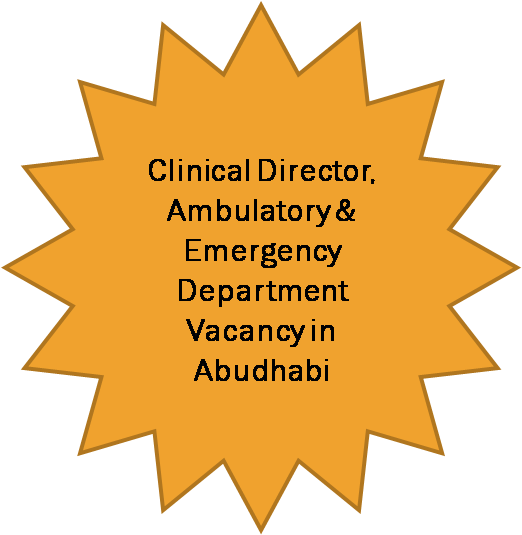 The vacancy of Clinical Director, Ambulatory & Emergency Department in Abudhabi. That too in an excellent organization. Just read what they say about the job responsibility of this post. "This position is responsible for the practice of professional nursing in an ambulatory setting, which includes establishing the clinical direction for nursing care delivery, providing clinical supervision and ensuring that nursing practices are in accordance with the philosophy, objectives and standards of CCAD. This position has explicit ownership/responsibility for outcomes and providing overall administrative management and support for evidence based nursing practice. "